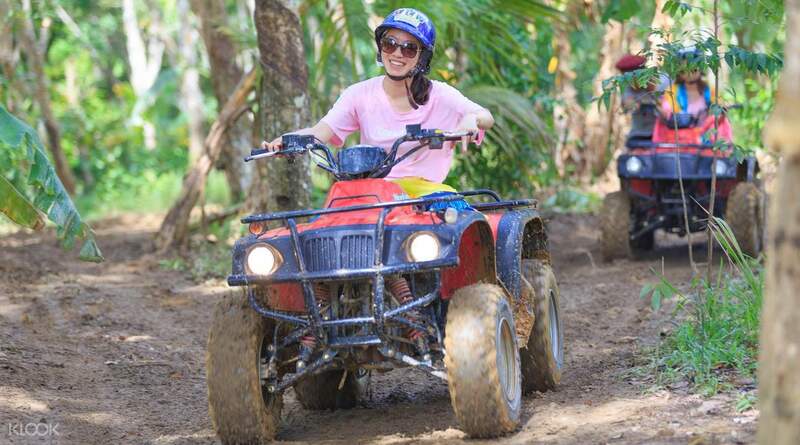 Check out this day tour with ATV or elephant experience plus lunch for more Phuket adventure options! It is an exciting game ~ The coach taught us patiently and did demonstrations when we didn’t understand. Nice activity for males and females . 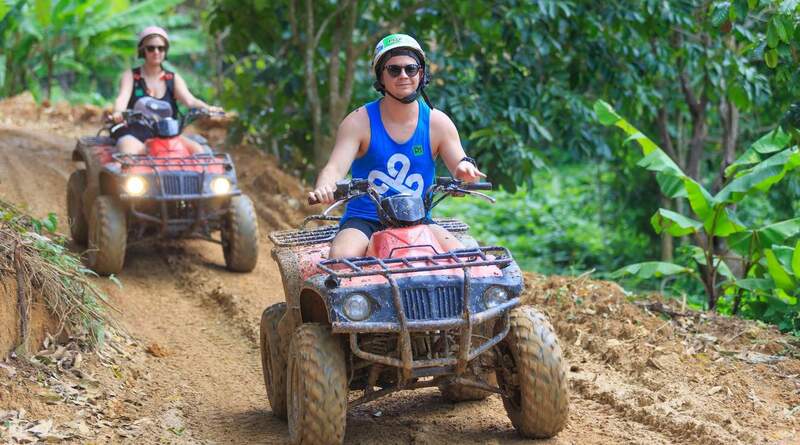 Pump up the adrenalin and head into the jungle! 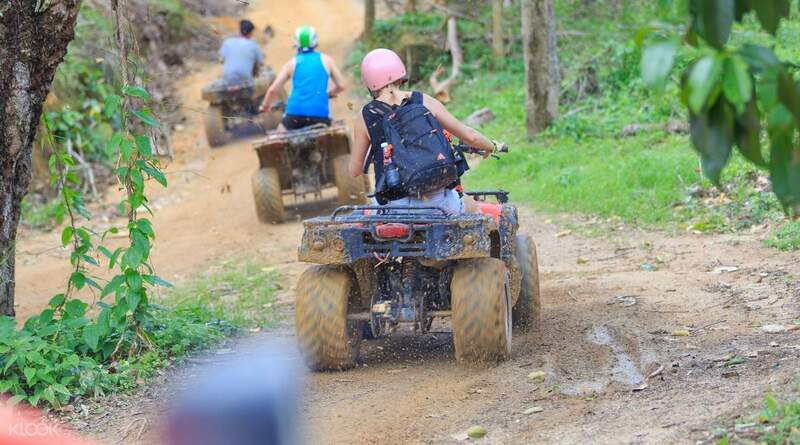 These ATVs (All Terrain Vehicles) are surprisingly easy to control for any experience level. 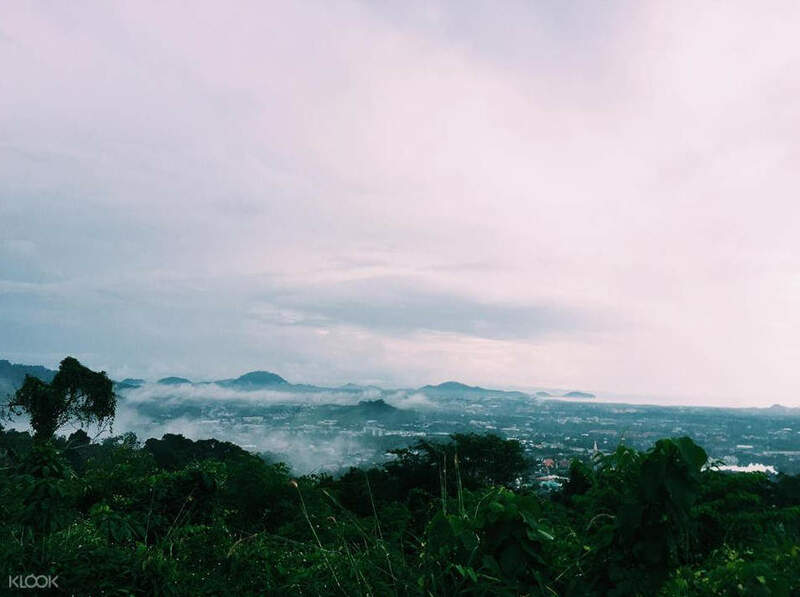 Begin with a briefing then some practice time before setting off on your journey through jungle trails, past rubber plantations and across luscious hills. Safety is paramount, with tours led by an experienced guide who keeps an eye on you all throughout the tour. Visit Phuket's famous Big Buddha statue where you'll take a break to learn of its history and enjoy the panoramic views. It's truly an adventure not to miss! Great experience. Gt some miscommunication abt the pick up point and need to reschedule it. And it turns out to be better as I get to drop off at my new staying place at Kata from Phuket town and it saves me abt 600 baht. All of the staffs are friendly. Highly recommend this. Great experience. Gt some miscommunication abt the pick up point and need to reschedule it. And it turns out to be better as I get to drop off at my new staying place at Kata from Phuket town and it saves me abt 600 baht. All of the staffs are friendly. Highly recommend this. 2 hours ATV were perfect. Short & easy ride to Big Buddha and back (with enough time to walk around), then a few not so easy tracks around jungles. Nise Thai guide take lots of photos and even video during the ride on our phone. But the transfer from the hotel an back was awful - by open tuk-tuk truck! 2 hours ATV were perfect. Short & easy ride to Big Buddha and back (with enough time to walk around), then a few not so easy tracks around jungles. Nise Thai guide take lots of photos and even video during the ride on our phone. But the transfer from the hotel an back was awful - by open tuk-tuk truck! It's so fun and exciting ! This is a must try in Phuket. Pick up from hotel on time. Instructor was so friendly and patience. Two guides to three drivers. They help to drive since my mum and auntie was so scare to try. I just enjoy it. They help to took video for us in professional way. Love it so much! Don't forget the big tips after it 😄 Fortunately we was given some time to visit big Buddha. It's so beautiful the phuket view from top. Highly recommend! It's so fun and exciting ! This is a must try in Phuket. Pick up from hotel on time. Instructor was so friendly and patience. Two guides to three drivers. They help to drive since my mum and auntie was so scare to try. I just enjoy it. They help to took video for us in professional way. Love it so much! Don't forget the big tips after it 😄 Fortunately we was given some time to visit big Buddha. It's so beautiful the phuket view from top. Highly recommend! I was a bit worried when being asked to drive the ATV. But finally I did it. It was unforgettable memory, and I'll try driving through the whole road map next time. Ziplinning was amazing. I felt a bit regretful that I had registered for 18 stages only, instead of 32 stages. I'll try next level next time as well. Undoubtedly to give compliments to the staff. They were humorous and helpful. I was a bit worried when being asked to drive the ATV. But finally I did it. It was unforgettable memory, and I'll try driving through the whole road map next time. Ziplinning was amazing. I felt a bit regretful that I had registered for 18 stages only, instead of 32 stages. I'll try next level next time as well. Undoubtedly to give compliments to the staff. They were humorous and helpful. The activity was exciting. It was so dusty and the roads were challenging. You get to see the big Budha and a nice view of Patong. Bring sunglasses when doing the ATV to protect your eyes from sand. Also wear east to clean slippers/shoes. The activity was exciting. It was so dusty and the roads were challenging. You get to see the big Budha and a nice view of Patong. Bring sunglasses when doing the ATV to protect your eyes from sand. Also wear east to clean slippers/shoes. Very punctual pickup from the hotel. The ATV was easy-to-learn and the guide was very helpful and kept looking back to see if you were following him. The Big Buddha was an attraction en route that we could visit the site and take photos. Looking the panoramic sea view of Phuket was really a good experience. Very punctual pickup from the hotel. The ATV was easy-to-learn and the guide was very helpful and kept looking back to see if you were following him. The Big Buddha was an attraction en route that we could visit the site and take photos. Looking the panoramic sea view of Phuket was really a good experience. atv was fun where the guide brought us to see the big Buddha. guide even helped to video and take lots of pictures at key locations. only downside was that there was no practice session, where we immediately went into forest after just learning how to start and stop. however it was easy to pick up. atv was fun where the guide brought us to see the big Buddha. guide even helped to video and take lots of pictures at key locations. only downside was that there was no practice session, where we immediately went into forest after just learning how to start and stop. however it was easy to pick up. An amazing experience ! It was the first try for my wife and I am used to drive it. We didn’t have any problem. The road was in the forest and on the macadam. Our guide took pictures of us during our drive and when he brought us to see the Big Bouddha and then he filmed us. We were only the two of us with him. He was really professional. Bonus : there is a free WiFi in the office. An amazing experience ! It was the first try for my wife and I am used to drive it. We didn’t have any problem. The road was in the forest and on the macadam. Our guide took pictures of us during our drive and when he brought us to see the Big Bouddha and then he filmed us. We were only the two of us with him. He was really professional. Bonus : there is a free WiFi in the office. I joined the 2-hour ATV tour alone and the experience was great. The pickup was on time. The guide was so kind that he took images and videos of me driving the ATV. He constantly checked behind to see if we were stuck or having problems during the trip. After the trip, they provides wet tissue and water for free. I joined the 2-hour ATV tour alone and the experience was great. The pickup was on time. The guide was so kind that he took images and videos of me driving the ATV. He constantly checked behind to see if we were stuck or having problems during the trip. After the trip, they provides wet tissue and water for free.